The ruling coalition of Japanese Prime Minister Shinzo Abe is on track for a big win in the country’s general election. 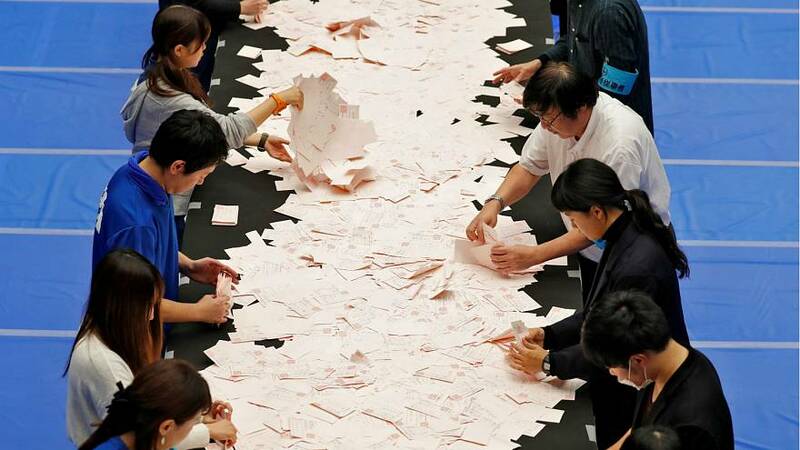 According to one broadcaster, Abe’s ruling bloc had secured 310 seats, reaching the crucial two-thirds “super majority”. The final result is expected later on Monday. The super majority allows for changes to Japan’s pacifist constitution, which restricts the country’s military to a defensive role. Many on the right of Japanese politics have long opposed the terms imposed after the Second World War. Abe had argued that he needed a fresh mandate to deal with “national crises” facing Japan, including the threat posed by North Korea.